Type Locality Rio São Francisco near Barra, Brazil. 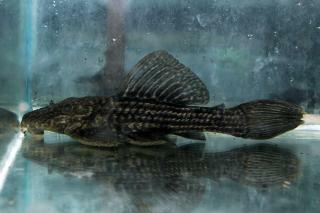 Etymology Greek, megas, megalos = great + Greek, agkistron = hook, in this case meaning "big Ancistrus". 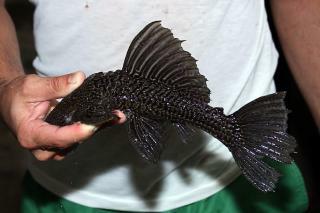 Named for the Rio São Francisco near Barra in Brazil, which is this species' type locality. Size 385mm or 15.2" SL. Find near, nearer or same sized spp. 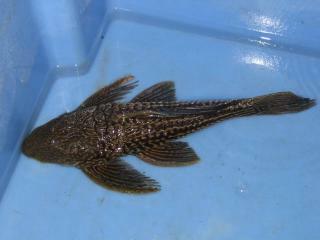 This species background colour is dark brown to black, those more commonly exported are black and often they are exported under the nomen nudem, "Megalancistrus etentaculatus". Distribution South America: São Francisco River basin.